After losing traditional Hollywood film and TV shoots to rival U.S. states like Louisiana and New Mexico, the Ontario provincial government is looking to lift its local production sector by luring 3D flicks and 2D-to-3D conversion work up north. In the wake of “Avatar,” the Ontario Media Development Corp. on Friday unveiled a two-year $1.4 million 3D Film Innovation Consortium (3D FLIC) to expand Toronto’s 3D film expertise. OMDC president and CEO Karen Thorne-Stone said her agency, which markets the province as a film location in Hollywood, is looking to build out Ontario’s 3D infrastructure to entice Los Angeles producers with next-level 3D projects to complete. Jim Mirkopoulos, vp operations at Cinespace Studios, a major Toronto facility, said he is talking to major studios about shooting their movies in the city, and then remaining here to convert 2D content to 3D at partner Creative Post’s 3D stereoscopic post facility. Despite a strengthening Canadian dollar, Mirkopoulos said a foreign producer can secure a 25% all-spend tax credit to offset film and TV production costs while here, and then an Ontario 20% visual tax credit for the 2D to 3D conversion. Toronto film commissioner Peter Finestone pointed to Toronto recently hosting shoots for “Saw 7” and “Resident Evil: Afterlife” in 3D to underline local depth in 3D film crews, technicians and camera operators. 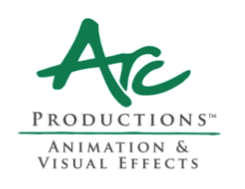 The 3D FLIC consortium includes Starz Animation Toronto, the Canadian Film Center, Side Effects Software and the Computer Animation Studios of Ontario. The OMDC has also created a local industry-academic partnership to explore emerging 3D issues like optimum story and character development and audience reaction to binocular vision. Nell Tenhaaf, associate dean of research at York University, and the 3D FLIC project leader, said little research has been done into how audiences react to misaligned objects in 3D projection, or the illusion of depth, all of which may produce occasional nausea. “We want to understand how the brain interacts with 3D film so we can make the experience as good as it can possibly get,” she said. Tenhaff added the practical solutions discovered by Ontario academics will be put into locally produced postproduction technologies and 3D film production processes to better attract Hollywood and other foreign producers to the province.